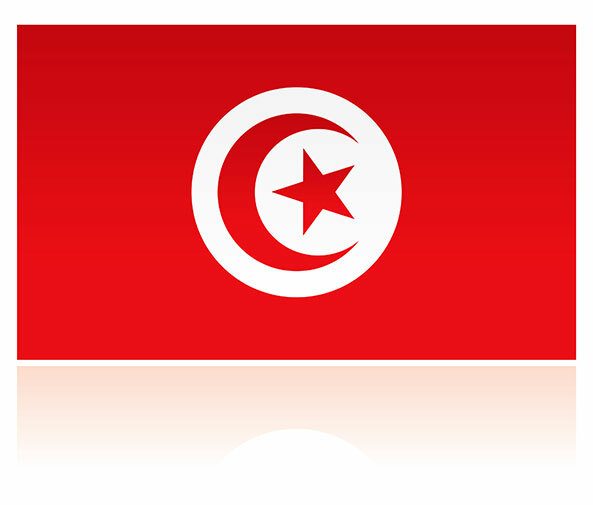 The North African nation of Tunisia is bordered by the Mediterranean Sea, Libya and Algeria. Its geographic location affords it a diverse mix of cultures and close proximity to political flashpoints. Students heading to Tunisia primarily are seeking culture and language studies or an immersion in ancient civilizations. The Roman Empire once sprawled far and wide throughout this region. In fact, the Roman city of Carthage was located in modern-day Tunisia. Tunisia, perhpas the first Arab country to achieve a Western-style democracy, is at a cultural crossroads between its past and its future. The U.S. State Department has issued a Travel Warning against visiting Tunisia. Consult with your study abroad professor and the State Department before making plans because the warnings do get lifted. Benjamin A. Gilman International Scholarships are provided by the federal government and awarded to disadvantaged students who otherwise would not be able to afford to study abroad. More than 2,300 scholarships of up to $5,000 annually are given for study programs around the globe, including Tunisia. The Gilman Scholarship Program aims to support students who have been traditionally under-represented in study abroad, including but not limited to, students with high financial need, community college students, students in under-represented fields such as the sciences and engineering, students with diverse ethnic backgrounds, and students with disabilities. Applicants for the program must be federal Pell Grant recipients. Other criteria includes being in good academic standing and a commitment to study in one country for at least four weeks. (Note they do not place students in countries where there is an active State Department Travel Warning.) Since the language commonly spoken in Tunisia is Arabic, students may stay in-country to study the language with a $3,000 Critical Language Scholarship. The Fulbright Program offers its Fulbright U.S. Scholar Program to send American scholars and professionals abroad to lecture and/or conduct research in a wide variety of academic and professional fields. Through the Fulbright Specialist Program, U.S. faculty and professionals can serve as expert consultants on curriculum, faculty development, institutional planning, and related subjects for up to six weeks. Fulbright recipients are supported by the U.S. Embassy in Tunisia. The Tunisia program provided by the School for International Training (SIT) affords students the chance to study Modern Standard Arabic or French while examining issues of identity, culture, and globalization in a multicultural context. Through interdisciplinary coursework, field study, and independent research, and homestays with host families, students will experience first-hand the political, social, and cultural landscape of post-revolutionary Tunisia. Every two years, the Institute of Current World Affairs offers two-year fellowships for self-designed, independent study abroad, but they explicitly are not awarded to support work toward academic degrees, writing a book, or for research projects. Areas of particular interest to the Institute include the Arab Middle East, Southeast Asia, especially Indonesia, but candidates may seek fellowships in any country. Qualified candidates must be freethinkers and highly motivated. They must be fluent in the language of their destination, and have a good command of the English language for writing monthly newsletters. The ideal project is one in which there exists a great potential to impact society. The ICWA also offers other fellowships with specialty concentrations. These fellowships provide full financial support for its fellows and their immediate families. Jane C. Waldbaum Archaeological Field School Scholarships provide $1,000 to more than a dozen students each year to help pay expenses associated with working in the field on an archaeological project for a minimum of one month. The scholarship is open to students junior and senior undergraduates and first-year graduate students. The AIA offers fellowships to Ph.D.s and professionals for travel, research, study and excavation who are members of the AIA.